The Barbaro-Gould Foundation is a local not for profit for the arts charity that works to facilitate the global exchange of arts and culture. Jen Barbaro and Todd Gould have years of experience working in the arts and are currently using their talents to head the local film Racing To Rio. The film strives to highlight the heroes of the Paralympic sailing world, and showcase the positive influence that sailing programs can have on the disabled and challenged community. The film will also highlight the Clearwater area as a premier destination for Paralympic sailing and follow the journey of one sailor Brad Kendell as he goes to compete in the Paralympics in Rio de Janeiro 2016. I am proud to be working on a film that has the capacity to touch so many people and spotlight such important works in the area. I have learned so much about the work of people like Brad Kendell and Jen French and all that they have done and continue to do to help those with disabilities and I hope that soon everyone else will be able to share in all the great, supportive messages this film has to offer. Since day one, the production of Racing to Rio has been fortunate enough to have an incredibly motivated group of people behind it. From the initial committee meeting, to our wonderfully successful VIP Sponsorship event – and every day in between – the hard work of our committee members, full-time staff, interns and our gracious volunteers has proved indispensable to this production. 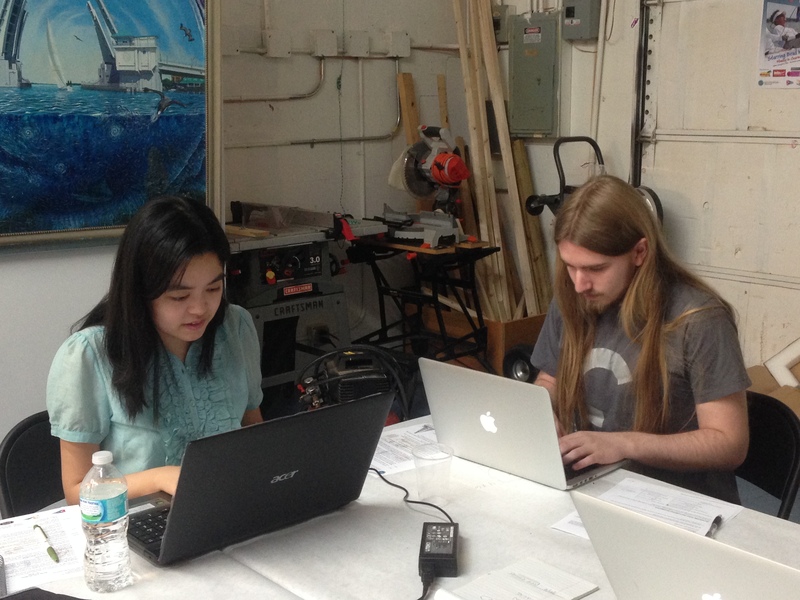 Today was day one in the office for our team of interns. We are hard at work turning this inspiring story of personal progress into a publicly recognized sailing legacy. While Brad Kendell and his team of USA 1 Paralympic sailors are tirelessly training to bring home the gold, we are filling out sponsorship applications and making phone calls to potential supporters of this film. All thanks to Brad, we are learning for ourselves the importance of working on a winning team! On behalf of the Racing to Rio production crew, I just want to offer a big THANK YOU to everyone who has put forward their time and effort to get this film off the ground! This is a remarkable story of triumph and empowerment and it certainly deserves to be heard. Thank you for helping to make it happen! 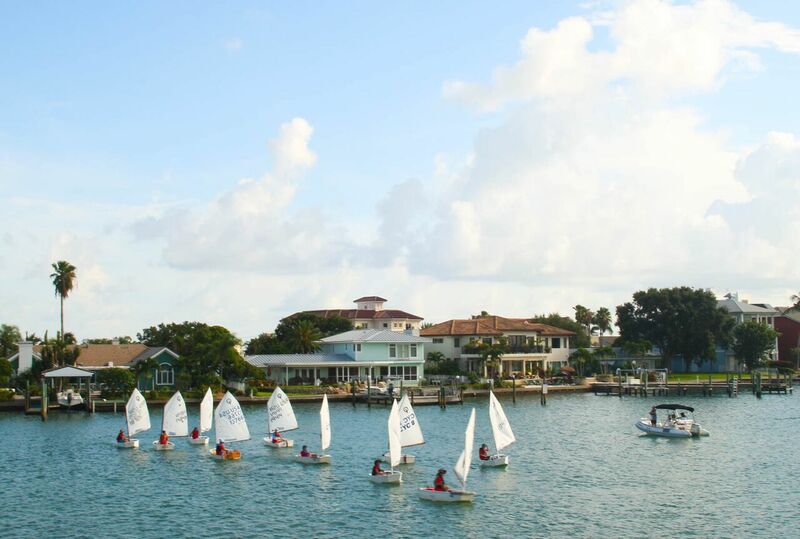 Sailing is a major part of Clearwater’s tourism and recreation business, as well as Florida’s economy as a whole. It is as interwoven with the Clearwater identity as the water around its locale. In addition to documenting the relentless efforts of local athletes on their journey to the Paralympics, the Barbaro-Gould Foundation wants to show the rest of the world the importance of sailing itself to Clearwater. Among Clearwater’s sailing organizations are the Clearwater Community Sailing Center and the Never Say Never Pirate Camp, a sailing camp for disabled youth started by Paralympic sailor and key focus of Racing To Rio, Brad Kendell. In February of 2015, Clearwater hosted the North American Championships of the 49er, 49erFX, and Nacra 12, featuring over 140 participants hailing from 19 countries. The North American Championship takes place before world sailing championship 2015 was no different. The Clearwater community’s involvement in this competition shows what a large role it, and by extension, Florida, has in the sailing world. Racing To Rio also aims to provide additional exposure for both Clearwater and Florida. Brad Kendall’s team of Paralympic sailors, Team USA 1, hopes to represent the United States in the the very last sailing Paralympic event in 2016. If they succeed, they will not only win gold but will gain international acclaim for both the U.S and for Florida. We need you help to make this important movie and share the importance of Paralympic sailing with the world. Did you know that the International Paralympic Committee has eliminated sailing from the 2020 games??? Together, let’s show the IPC how wrong they are and get them to reinstate sailing! Racing to Rio the Movie demonstrates that #Paralympic sailing is not about 16 countries that compete once every four years, it is about the thousands and thousands of kids, warriors and adults that these athletes and games inspire to find their abilities which far surpass their disabilities. We are not asking you to donate to the film, we are asking your donation to support these amazing athlete/leaders and programs as they mentor the next generation! Racing to Rio is the spark to create more programs that use sailing to heal, develop communication skills and create the next batch of leaders. Please visit our Racing to Rio Indiegogo Site right now and make a donation. No time like the present. Your tax deductible donation makes it all possible. Please share this post with your friends and families on Facebook, Twitter and by e-mail. Don’t simply support our mission, be a part of it. 9/1 VIP Sponsor Event a Smashing Success! The preproduction kickoff for Racing to Rio the Movie was well attended by civic and community leaders and a host of great supporters who make Clearwater and Pinellas County the special place that it is. We cannot thank our Racing to Rio Committee and our event sponsors enough for planning and executing this great evening. Everyone was treated to great food, great wine, great music and great speeches from guests Clearwater Mayor George Cretekos, Brad Kendell and Warrior Sailing’s Ralf Steitz.